Well, it was an eventful couple of weeks. I must say that it was a really terrific feeling when I found out that my first piece ever was published by the Huffington Post Blog! I was with my daughter when I got the email saying that my piece had beeb published, and to receive good news and have your child be the first to know is a wonderful feeling. Also, my daughter got to see that, in addition to being a mom, I do other things that make me happy. She didn’t really understand the concept of publication so my happiness eluded her. I asked, “How would you feel if you made the gymnastics team?” and a huge grin spread across her face and I said “That’s how I feel right now.” And we held hands and walked home from school and it was just the most complete, filling feeling. The following week, The Huffington Post Blog published my second piece in the Comedy Section! * Now I need to buckle down and do some real work. 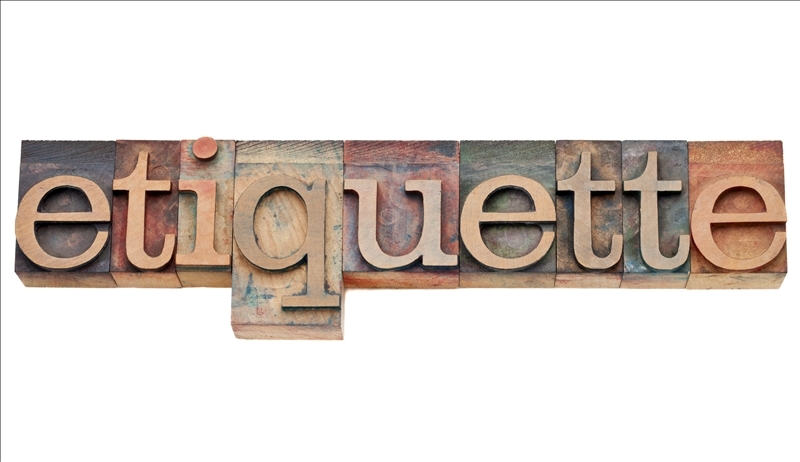 The Merriam-Webster Dictionary defines etiquette as “The conduct or procedure required by good breeding or prescribed by authority to be observed in social or official life.” So, even if you weren’t bred well, you can still choose to follow the rules of etiquette in order to act appropriately in social situations. I mean, I guess there’s a nitty-gritty area in the etiquette world in which just being willing to follow authority’s lead is not enough. For example, I once read about someone who said, “My Uncle is in jail. Do I still need to send him a wedding invitation?” My common sense tells me that that person should get a new uncle, but I can’t answer the question about whether the uncle should get a wedding invitation. Emily Post probably can. 2. Wearing Sunglasses Inside. Are you drunk? Hungover? Evading the law? I don’t get it. Moreover, there’s a time and a place to leave sunglasses on top of your head when you go inside. That time and place is not during a school tour/interview or during a meal. The lights may be fluorescent but our eyes are not on top of our heads. We’re not frogs. 3. Not Remembering a Name. If I don’t remember your name but you remember mine, don’t keep saying my name just to make me feel bad. I get it. You remember my name and I can’t remember yours. You win. 4. Welcoming a Newcomer. When someone new joins you and your friends at dinner, a nice thing to do is smile and make them feel welcome. You know what smiling is, right? It’s when the muscles in your face pull the sides of your mouth up so your mouth is in the shape of a U. You should try it sometime! 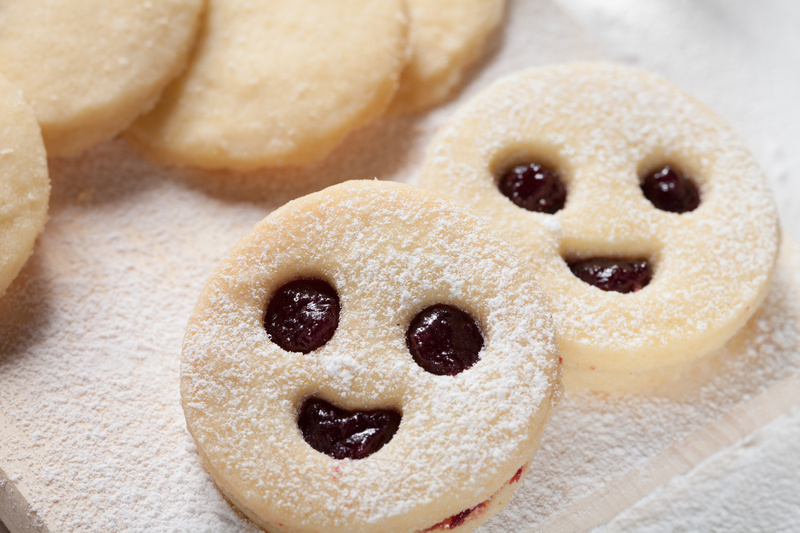 FYI, a smile is also the opposite of a frown. 5. Your Bag Doesn’t Need a Seat. If you are waiting for a service and the waiting room is so crowded that people are standing, when the person sitting next to you gets up, that’s not an invitation for you to put your bag in the empty seat. Your bag doesn’t have feelings and it doesn’t get tired. (As I’m writing this, I just thought of a business idea: handbag babysitter! Also known as Handbag Consultant, also known as Vice President in Charge of Wardrobe). 6. The Customer is Always Right. If a restaurant patron pulls a long hair out of the middle of her burger, the manager should not say “I’m so sorry about that! But, just so you know, none of the people working in the kitchen has long hair.” We see what you’re doing because we’re not stupid. You’re being very polite about the hair but you’re telling us that it’s somehow our fault. Now, I’m no chef, but I don’t know how my hair could have gotten into the middle of the burger unless I made the burger. And if I did make it then I don’t need to pay for it. So it’s free, right? Along with the rest of the meal? Tell me what rules of etiquette you see being broken! Does it annoy  you as much as it annoys me?? ?